Lori rugs are tribal Persian rugs made by nomadic Lori people of the province of Lorrestan, in western Iran. These people are descendants of the Kurds, and their weaving styles and designs are incredibly similar to theirs. The rugs are more than often characterized by the bright and lively colors that they incorporate. The Lori carpets often have traditional floral patterns, but geometric ones are also seen. These rugs were not originally made to sell commercially. Rather, women who wove them were following an ancient custom that provides tribal families with hand-woven articles of practical value such as floor coverings, blankets, storage bags, saddle blankets, and financial security in case of future harsh times. In central Iran, slightly north of Isfahan, lies the town of Yalameh, well known for top quality tribal rugs with beautiful diamond patterns, distinctive use of color, and imaginative designs. The local tribes are : Qashqai, Khamseh, and Lur. In the early nineteenth century, Yalameh produced some very handsome and densely knotted rugs. These finest Yalameh rugs have many beautiful colors and are skillfully divided into a lattice of diamonds that encloses a number of stylized geometrical animal, flower, and bird patterns. Yalkameh rugs and runners have tribal patterns and a very warm look. A unique characteristic is three or more diamond-shaped medallions in a straight line . Theiy are great with modern furniture. Yalameh rugs and carpets are among the best tribal rugs and carpets woven in Iran. They come in different sizes, but the majority of them are mid-size. 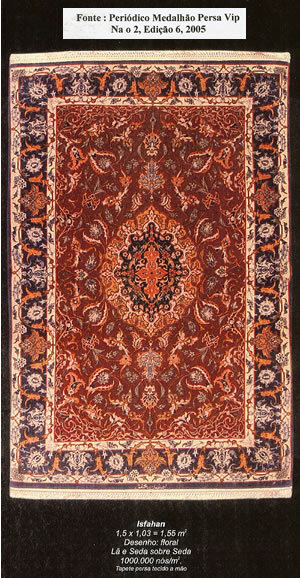 Dark red and light brown on a blue or orange background are the main colors in Yalameh rugs and carpets. The warps are mostly cotton; wefts is either cotton and wool. These are tribal hand-woven rugs made in the southern part of Iran by nomadic. Balluch tribes. These people are very kind and simple and weave these rugs mainly to express themselves and follow an ancient Persian tradition, which dates back 2500 years. Colors of Baluch rugs are usually predominantly a rich burgundy with some navy and ivory. They frequently have either an overall pattern, or a prayer rug design. Any Baluch Persian rug is one of a kind and has absolutely no duplicates anywhere.